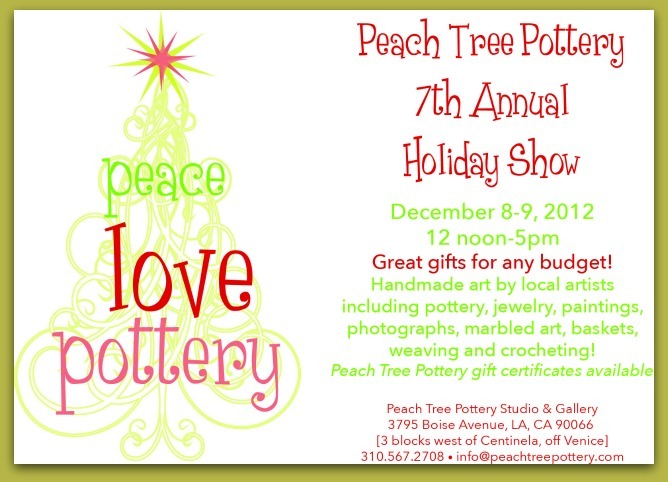 I will once again be participating in the annual Peach Tree Holiday Show in Mar Vista, Calif. on Saturday, December 8 and Sunday, December 9 from noon to 5 p.m. I absolutely love being a part of this two-day event that brings together so many talented artists and artisans. Every year, I get all of my holiday AND birthday gifts here. From functional art to fine art and across all price ranges, you will find something for everyone ~ pottery, jewelry, photography, paintings, woven scarves and blankets, and more. I will be there both days so drop by and say hi. 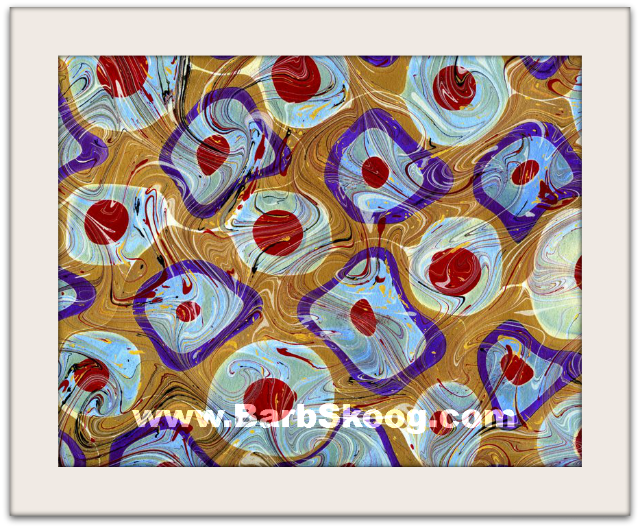 I will have marbled note cards, gift boxes, framed pieces (I am REALLY excited about these! ), matted pieces, journals, and individual papers for sale. Be sure to visit Peach Tree's Facebook page over the next few weeks to check out other artists'/artisans' work.